This is a quick project I did for one of my clients. 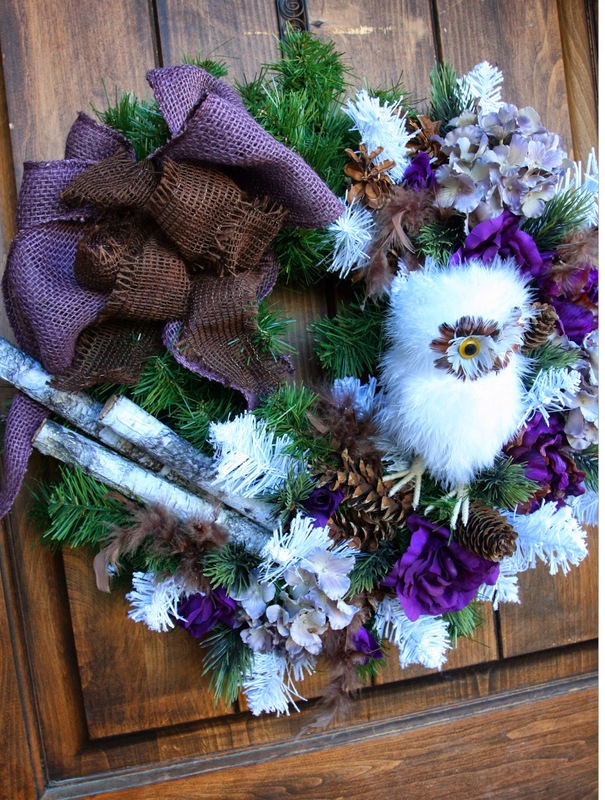 She requested an "Owl wreath with purple, brown and white." She wasn't terribly specific! 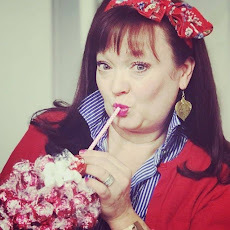 So, after a couple more questions to make sure I understood her style, we narrowed down her design choice to "Rustic" with NO bling, or glitter. She's a pretty down to earth gal who works at our local zoo. No glitter it is. Although to be honest, if I were keeping this for myself, I would totally add some "Sparkle" to it! 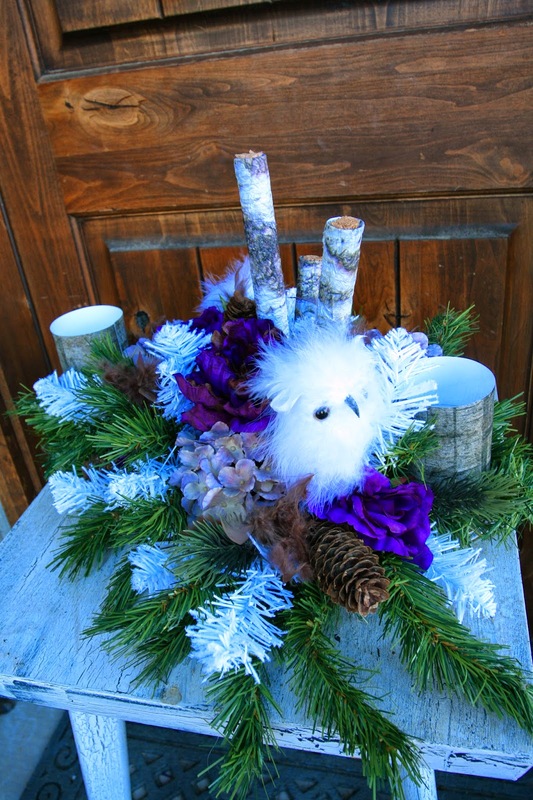 I created her design by using the owls, 3 types and shades of purple flowers, pinecones, flocked pine, feathers and birch-look twigs. In the process of talking about what she wanted, she asked if I could also make her a centerpiece for her dining table. Again, as part of the process I needed to know whether she wanted it to be tall and narrow or low and wide. She chose low and wide. 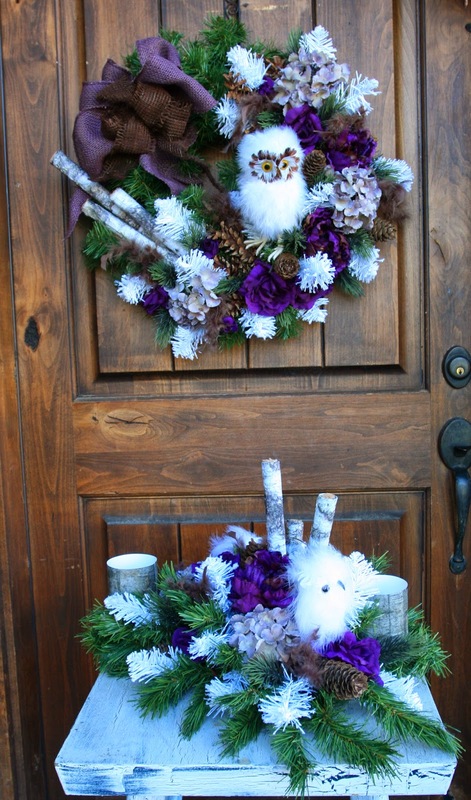 I made the arrangement asymmetrical to provide visual interest all the way around the design. This is the view from above on the centerpiece so the full visual is able to be seen. 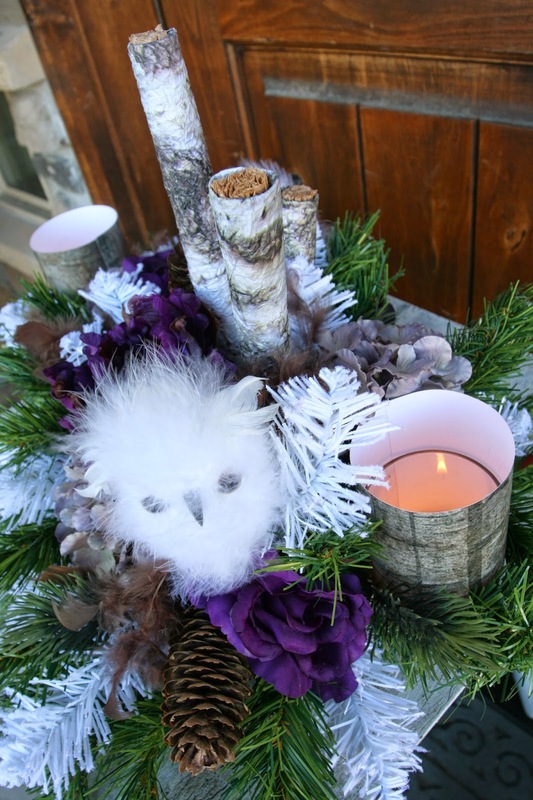 There is another owl of the same size, sitting lower in the arrangement, on the other side, and candles at both ends. This close up shows the custom "Birch-look" candle holders I made in a photo editing program, printed out, and wrapped around glass cylinders. 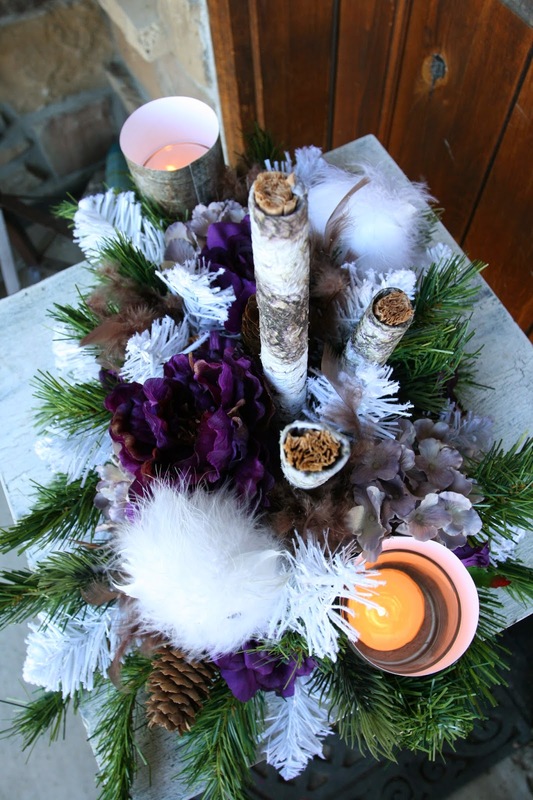 In a darkened room, the soft candlelight will provide a really pretty glow to the display. Would you like me to create a custom design for you? I can ship anywhere in the country. 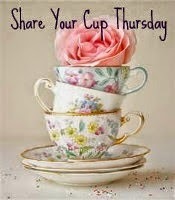 Email me at busybee.love@yahoo.com for a quote.